Soaring prices of herbs used in traditional Chinese medicine (TCM) are being blamed on supply shortages and closing down of herbal plantations. Retail prices of TCM may grow in the future due to rising costs of raw materials. It is found that an average price rise of 84% for 537 kinds of TCM herbs, and prices of some medicines increasing more than three times. 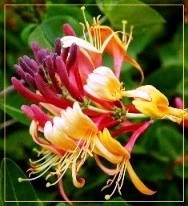 For example, Honeysuckle Flower (金銀花, Jin Yin Hua, Flos Lonicerae), traditionally used to treat common colds, costs four times more than just one year ago! Falsestarwort Root (太子參, Tai Zhi Shen, Radix Pesudostellariae), commonly used to augment Qi and generate the fluids, has risen from $3.60 a pound to $16 a pound. Even some herb retailers and TCM clinics have stopped selling medicinal herbs with the greatest price increases. Both patients and customers are facing the difficult situation of buying no particular herbs. With crop prices rising, many peasant farmers have cut down their herbal plantations in favor of growing crop plants, causing total production of herbs to drop 20% since the year 2000. Experts said that the price hike could be attributed to favorable policies and speculation in the market.